Interested in learning more about what has fed the Rate YOUR Nandos Team's peri-peri-passion? Find out here! Ever since being introduced to Nando’s, an addiction has developed which has led to weekly (if not more) visits since 2005. It all started out in North London, and then as the passion grew, so did our desire to experience Nando's in other regions. The valuable information obtained on these visits formed the basis of the Rate YOUR Nando's phenomenon. It is a common myth that all Nando's are the same, as any frequent visitor will confirm. It is for this reason that Rate YOUR Nandos was created. We hope that together, the world's Nandoers can create an exclusive online database which will aid visitors to any branch, be it their first or 100th. But what is different about each Nando's? The differences may be subtle, but it is these points that often bring the biggest positives to an experi-peri-ence. For example, a particularly polite member of staff, an enticing student discount or attractive local amenities can make a return visit essential, while lengthy queues at peak times, or expensive, awkward parking can greatly jeopardise the prospect of returning. Not to mention the huge variations in menu items and price when comparing Nando's in the 24 countries which it currently graces. We hope that the rating system on the website is helpful in sharing opinions, and allows for a sufficiently in-depth review to be provided. Try the FAQ page or contact us here for all Nando's related queries! 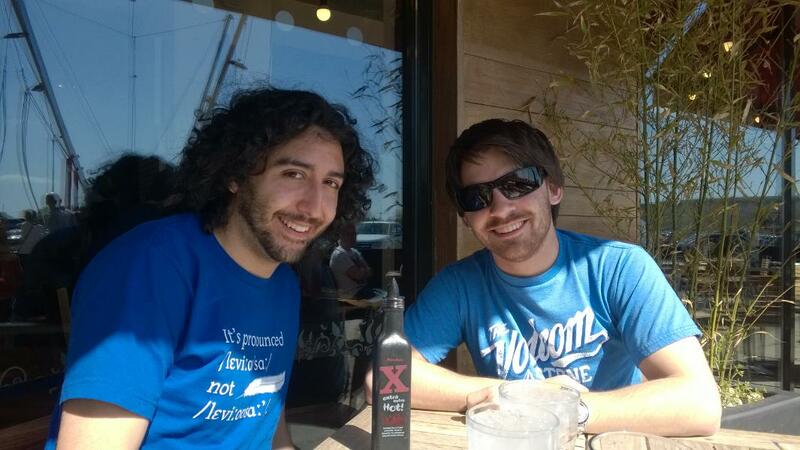 Don't forget to check out James and Marc's profiles! 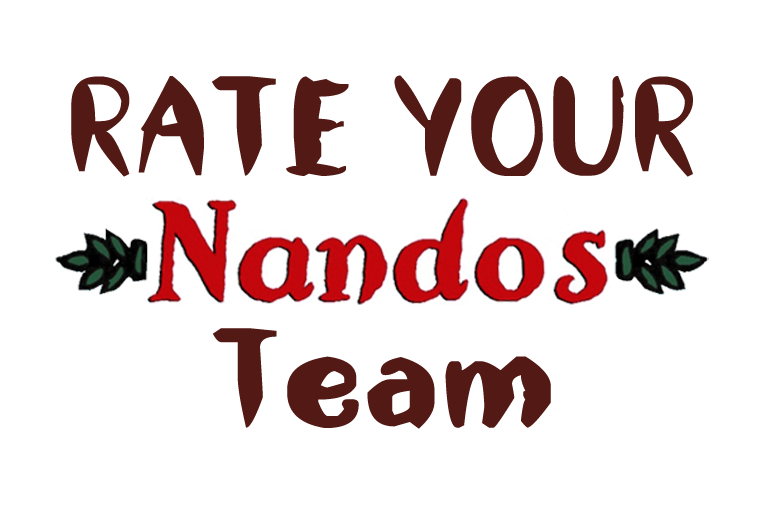 All content on this website including photos is ©2009-2018 The Rate YOUR Nando's Team (except the Nando's logo and font of course). We take very seriously the theft of any of our intellectual property, be it review data or website code.